Published on May 2, 2014 in Uncategorized. Closed Tags: distress at sea, greece, malta, new arrivals. The tank ship «Southern Spirit» flagged Maltese brought the 147 saved refugees that had been saved after calling 112 on May 2nd on Sunday to the port of Piraeus. Among them are 5 women and 7 children. 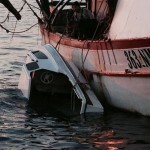 JCCR Greece in cooperation with RCC Malta saved them when they had lost control of their boat. The refugees coming mainly from Syria and Egypt who had started their trip from Egypt will be hosted in the School for Coast Guards in Piraeus for as long as their registration takes place and then they will be transferred to the police for being either released or detained (with the aim of deportation). 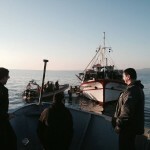 The same day a small boat with about 60 refugees was detected north of Samothraki island. They were first brought to the island and then transferred to Alexandroupolis. The refugees had send SOS. Published on November 29, 2013 in Uncategorized. Closed Tags: border deaths, distress at sea, greece, killing borders, lesvos. A dinghy with 13 Syrian refugees got in distress near the Turkish coast. 5 refugees drowned, among them a 2-month-old baby. 9 persons were saved. They were heading towards Lesvos island. Published on November 15, 2013 in Uncategorized. 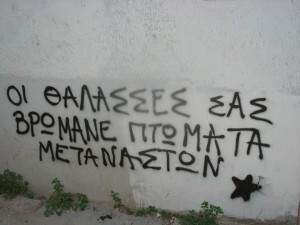 Closed Tags: border deaths, death at border, distress at sea, greece, killing borders, lefkada. 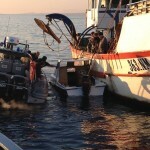 When the boat got in distress the reguees called the Hellenic coastguard. 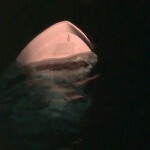 Upon arrival the boat had turned already around, 12 persons were found dead until now – among them four children. 15 persons could be saved. They informed the authorities that more people are missing.